Peggy Alford Poised to Make History as Facebook Nominates a Black Woman to Their Board...Finally. On Friday Facebook tapped Peggy Alford, a senior vice president at PayPal, to have a seat at the table, a landmark step in diversifying their nine-member board. Alford is no stranger to Silicon Valley, or to Facebook. According to Black Enterprise she’s the former chief financial officer and head of operations for the Chan Zuckerberg Initiative—a philanthropic organization co-founded by Founder and Chairman/CEO of Facebook Mark Zuckerberg and his wife Priscilla Chan. 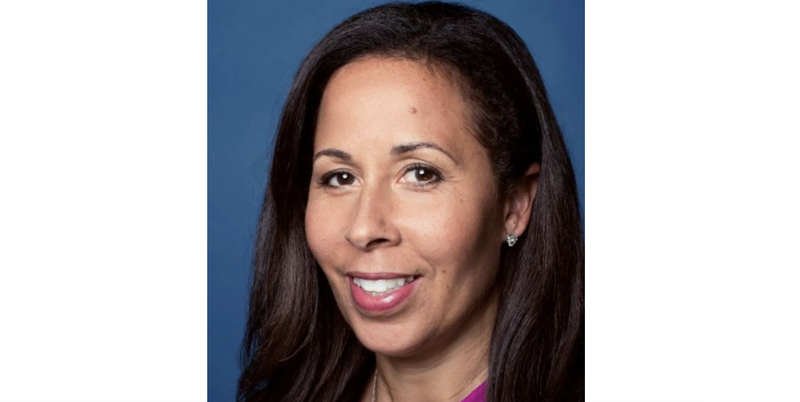 Alford has also held executive positions at eBay and Rent.com, and recently joined PayPal in 2019 as senior vice president, core markets. She’s earned a bachelor’s degree in accounting and business administration from the University of Dayton in Ohio and is well-respected in her field. “…go in with a mindset of seeking to understand first,” she advises, “don’t try to just jump in and change everything based on what you think following the first meeting. Set the stage of seeking to understand first. Don’t feel like you need to know it all, own it all, do it all. Lean on your team and give them credit, allowing them to participate in the process – and your success - by involving them in your learning curve. It’s fantastic to see Alford take on this key position. For those hoping she’ll help open more tech opportunities for black people in the industry, and within Facebook itself, we’ll have to wait and watch. Alford’s nomination has come after years of pressure from the Congressional Black Caucus, Rev. Jesse Jackson, and many other civil rights leaders. Representatives urged Facebook, Apple, Amazon and Google to make their boards inclusive of Black and Hispanic executives, as one of many ways to reverse longstanding racial exclusion. Facebook has been criticized for having dismal rates of overall diversity through all levels of staff employment. This mirrors the overall state of diversity in silicon valley, an industry area that largely employs white and Asian men. Tech website Mashable reported that Facebook’s 2018 diversity report was “as underwhelming as ever”. Facebook’s chief diversity officer Maxine Williams said the company has planned to work more closely with “historically black and Hispanic colleges” according to Mashable. One question worth asking of this, if it hasn’t been asked already is: what are the various structures of these programs and who is creating them? For instance, the experience and outcomes for students who elect or apply to join a Facebook program would be much different than if students are unaware they’ve entered a recruitment pipeline simply by being tech students at a particular school. This is especially true if the students wouldn’t willingly work with Facebook otherwise. It will be interesting to see if or how Peggy Alford will address the details of the current plans for tech training geared specifically towards HBCUs and other spaces for People of Color. It’s hoped by many that she’ll ensure all ideas will be carried out with the necessary level of detailed care. If approached correctly, then there’s possibility for these educational programs to truly benefit the communities they claim to support, not just as a form of corporate self-interest. Alford’s impending arrival will coincide with another large shake-up for the board as well. As detailed by TechCrunch, longtime board members Reed Hastings and Erskine Bowles will depart this year. Both Hastings, the CEO of Netflix, and Bowles, a former Democratic political staffer, have served since 2011. Both have also had recent disagreements over Facebook’s direction and influences. “Hastings reportedly clashed with fellow board member Peter Thiel over his support for the Trump administration and Bowles famously dressed down Facebook’s top brass over Russia’s political interference on the platform.” Big changes are ahead, for sure. Alford’s nomination is expected to be confirmed at the company’s annual meeting on May 30th.